When Jude and Damien were at preschool levels, we did daily arts and crafts projects. While we don't do projects like we used to, we usually keep a good supply of project supplies in the house because they enjoy doing craft projects on their own. When I restock our shelves, I always try to go with quality over quantity where appropriate, because life is too short for cheap crayons! 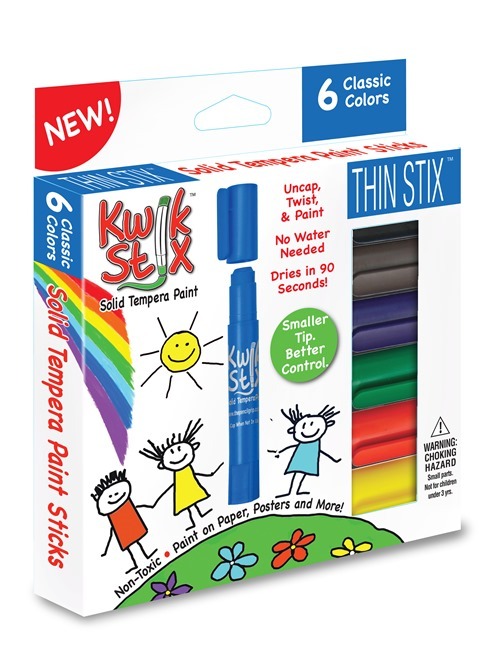 Paint is always a favorite medium, and we love our Thin Stix 6pk of Classic Colors from The Pencil Grip, Inc. Design and quality makes them must-haves for us! 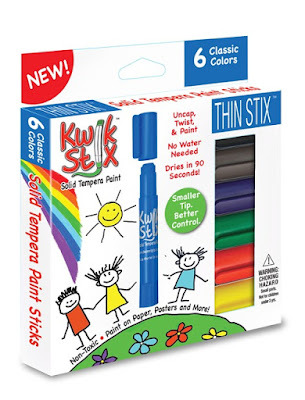 These new paint sticks are a skinny, pencil-like version of the glue-stick shaped Kwik Stix that we were introduced to last summer. 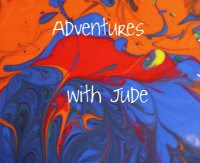 Both styles are tempera paint sticks - think a solid block of poster paint in a twist-up, no-brush-needed form. We loved the original Kwik Stix, but their chunky glue-stick dimensions meant they were ideal for smaller hands, but a little lacking for older kids who wanted to draw finer details. Thin Stix are the answer. These longer, slender sticks have a mechanical concept like a twist-up crayon. They definitely edge out crayons, though, for several reasons. 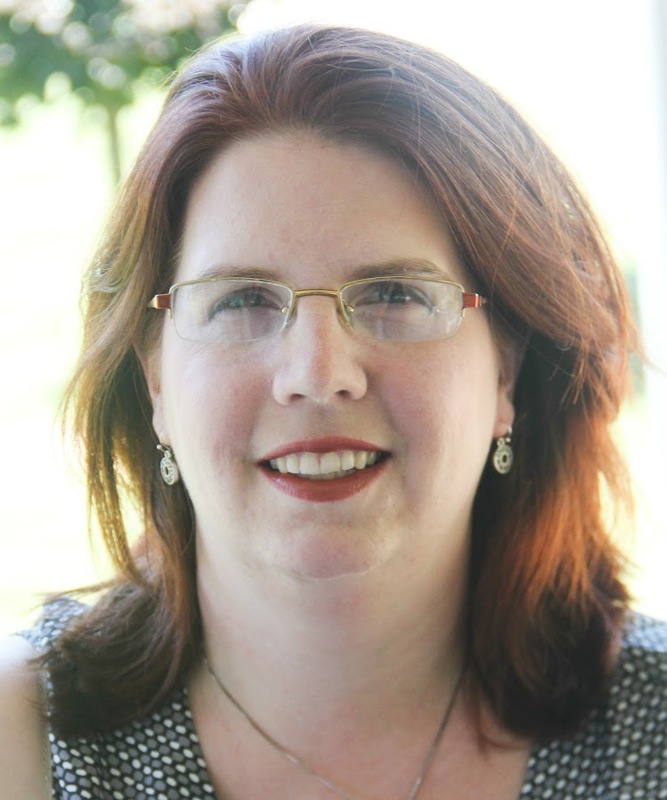 Instead of being a wax-based medium that needs a thick coating of product for intense color but the tempura paint in the Thin Stix gives bright colors with minimal product. Another point in the "Thin Stix Column" is they are quick-dry (under 90 seconds), and once the paint dries, it is bonded to the paper. It won't flake off onto clothes or surfaces, or smear into other areas of the picture like lacquered-on wax from a crayon. However, despite it sticking well to paper, it easily cleans up from the table with a little bit of water and a paper towel. Damien especially liked using them with the puppet theatre that he built. Because they work like conventional writing implements, it made it easy to precisely color in areas of the shell. There's no paintbrush to try to control. Crayons have a tendency to snap in the boys' hands (low muscle tone means they need to hold them with a more-than-normal pressure), so they often gravitate towards markers for coloring. However, Thin Stix edged out markers here. Because the paint is a solid bullet, rather than siphoned ink like a marker, coloring a vertical surface is easy! The plastic casing around the paint is sturdy, as well as the paint bullet itself. 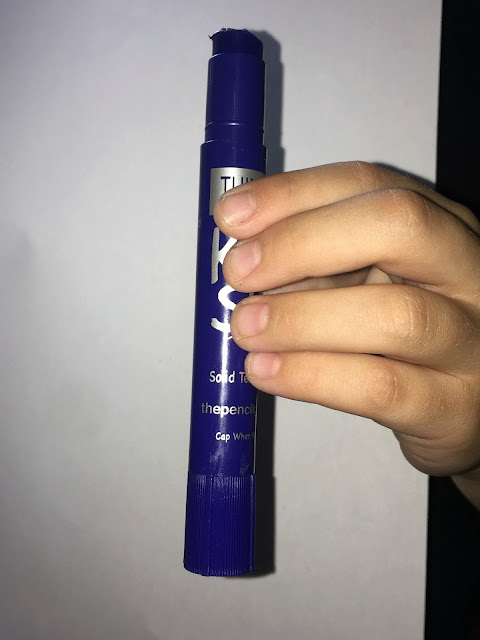 The twist-up mechanism means that only a small portion of product needs to be exposed at any time, cutting down on the potential for breaking and smearing. The bullet itself holds up to the heavy pressure of "coloring dark" and doesn't snap. The paint is also intensely pigmented. Because it dries fully in about a minute and a half, it is easy to layer several coats of it to get extra-bright colors, or to get a bright and genuine primary shade when coloring on a piece of colored paper. It's easy to get bright colors on white paper, but that means you have to color everything when you start with a white base. 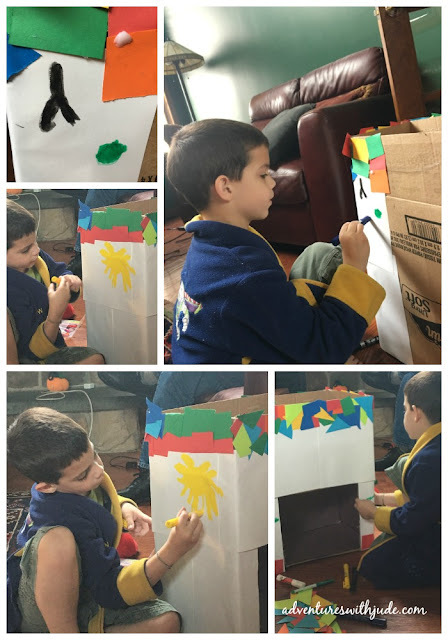 For his puppet theater, Damien wanted to create scenery flats. 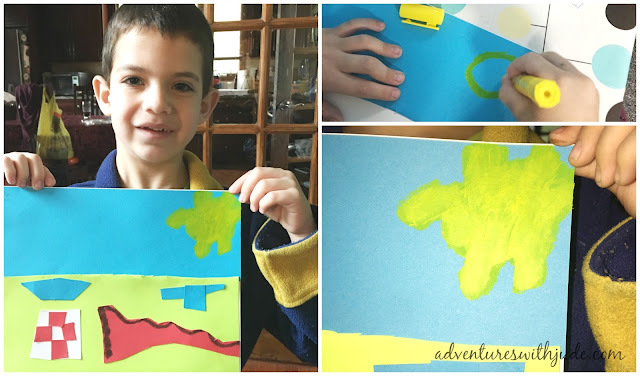 This one is a picnic scene, and he used a piece of blue cardstock because the bulk of the view should be a blue sky and horizon. However, what's a picnic unless the sun is shining? After only two layers of paint, his sun is bright yellow despite the intense blue behind it. We enjoyed our original Kwik Stix, but love the Thin Stix. They're definitely going to be a permanent part of our supply box. 100 Crew families have been creating masterpieces with Thin Stix. Check out their pictures by clicking the banner below.